From The BlogA Sunday Thought The Blog cows I am Thankful…. It hardly seems like it should be the middle of November and that Thanksgiving is only a couple days away but the truth is that, it is November and it is Thanksgiving. I love Thanksgiving. I love the family time that Thanksgiving brings. I love thanksgiving traditions. Do you have family traditions? I have many things that I am thankful for and I am going to share a few with you. Please Note: These are not necessarily in order, it is just how they came out from my head!! I am thankful for my Life. How awesome is it that I’m actually here, in the world, living? I am thankful for my Parents that made the choice to adopt me. I am thankful that I know GOD and I know that he is real. I would be lost without his guidance. I am thankful for My Cowboy. Everyday I am reminded how important he is. I am thankful for all Our Kids! Each of them are different. Each of them are important to me. I am thankful for my Friends. Friends has so important. I am truly thankful for each of you. I am thankful that I am a MOM. Some days are challenging but the most are rewarding. I am thankful for LOVE. It is completely amazing, isn’t it? I am thankful for Family. We have good days and bad days, but really they are what my foundation is made out of. I am thankful for my SISTERS! You know who you are!! I am thankful for Our Ranch. There is no better way to be humble, then to be raised on a farm or ranch. I am thankful for Prayer. I pray ALOT. It is important. I am thankful for my 45 minute drive to town everyday. Yep, you read that right. My time on the road is filled with stories, laughter, tears and thoughts. I am thankful for Dirt Roads. I have a lot of stories about Dirt Roads! I am thankful for Choices. Everyday we get to make our own choices. Moving our Cattle home from Summer Range. I am thankful for Cattle. I have learned so much from being a rancher. I believe God put them on this earth for a reason. I am thankful that I am a Rancher’s Wife. It tries my patience, sometimes makes me cry, but overall I would not change it for anything. I am thankful for those who work at our state level and national level to protect our rights. Thank you Nebraska Cattlemen. I am thankful for Chores. A little hard work never hurt anyone. Chores are something that I have become grateful for. I am thankful for Horses. I am at peace when I am surrounded by them. One of my favorite things to do is ride. I am thankful for Health. I’m pretty healthy and I’m happy about that. I am thankful for Seasons! Spring, Summer, Fall, and Winter. I really like them all. I am thankful for Traditions. Traditions are important to me and I am trying to keep them alive. 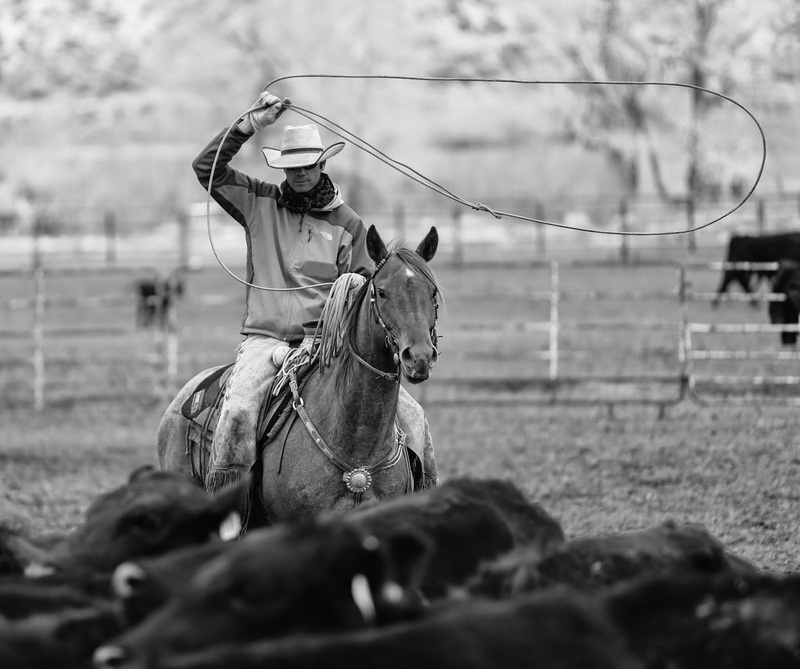 I am thankful for Roping. Yes, I love to rope. I may not be good but I still enjoy it. I am thankful for Stars. Stars remind me that God is watching over us. I am thankful for those who have left an example. I think about Papa, Mom, Grandma B., and many more. I want to be more like them. I am thankful for Encouragement. Encouragement warms my heart. I am thankful for Accountability. We are accountable for our own self and our life. I am thankful for Smiles. You can never smile to much. They are contagious. I am thankful for Change. Change is sometimes uncomfortable, but it can be a wonderful thing. I am thankful for Fun. Who doesn’t love fun? I am thankful for Hope. Sometimes it is hard to find, but it’s always there, waiting to lift me up. I am thankful for Patience. I am still working on patience but it’s getting better everyday. I am thankful for Photos. If you know me then you know that I have thousands and thousands of photos. There is nothing quite like a brilliant image to capture a moment. I am thankful for Honesty. It really is the best policy. I am thankful for the Bible. My grandma gave me my first Bible. She knew what she was doing. I am thankful for Surprises. Umm, as long as they are good surprises!! I am thankful for Positive Things. Look for the good in everything and you will find it. I am thankful for Knowledge. Gaining and possessing knowledge is something that we should do everyday. I am thankful for Dreams. Dreams are important. Keep dreaming, good things happen when you dream in the night or day. I am thankful for Passion. One of the best things: seeing someone passionate about what they do or who they love. It makes me a better person. I am thankful for Quality Time. Seems like life is so busy and there isn’t time for quality time but we need to take time and slow down. I am thankful for Kindness. Even the smallest act or word or action can change a day around. I am thankful for Sunshine. The sun makes me smile. I am thankful for Blogs. I have learned so much from other bloggers. I am thankful for Laughter. It is good for your soul when you laugh so hard you cry. I am thankful for Sleep. There is nothing better than a my own bed after a long day. I am thankful for Farmers. Food is a major part of my life, but I often forget to be thankful for the men and women that put food on my table. I am thankful for Challenges. Challenges are sometimes not fun but they always make me a better person. I am thankful for Compliments. We all should give compliments because they are important. I am thankful for Freedom. I often take this for granted but it really is important. I am thankful for Apologies. Doesn’t it feel good to hear them and even better to say them. I am thankful for Peace. I may not always be at peace and the world is not always peaceful, but I am trying to be better at finding my own peace. I am thankful for Respect. I believe that one of the best things that we can do for others is respect them, and we also need to respect ourselves. I am thankful for Joy. We have to look for joy but it is around. I am thankful for Thoughts. I have a lot of thoughts. I mean a lot of thoughts!! I am thankful for each of them. I am thankful for Water! I take if for granted but I am thankful for our Sand hills water. I am thankful for Memories. Sometimes it is better that we don’t dwell on the past, but the past is what makes us the person we are today. I am thankful for Compassion. Compassion is something that everyone needs. I am thankful for Opinions. We all can agree to disagree. I am thankful for Energy. I need alot of energy to keep up. I eat BEEF! I am thankful for Questions. When I question things, and others question me, we learn. I am thankful for Hugs. I am not really a huggy kind of girl but I do appreciate hugs. I really like hugs from kids. I am thankful for Independence. It is great that we are free. I also think that it is ok to be independent. I am thankful for BEEF. Who isn’t thankful for Beef? Full of nutrients, minerals and proteins that our bodies need. I am thankful for FFA. I’ve learned so much from FFA. I use it daily. I also enjoy helping our local FFA chapter. I am thankful for Small Towns. Small towns are important to everyone. Chugwater, Wyoming Bluffs. Chugwater is a small town and I love it. I am thankful for 4-H. What I didn’t learn in FFA, I learned in 4-H. I enjoy having my kids in 4-H. I am thankful for the Gym. I may not exercise like I should but I do enjoy it and feel better when I do. I am thankful for Wyoming. It will always be my home state. I am thankful for Nebraska. I believe that Nebraska is where I need to be. I am thankful for Barns. Barns make my heart sing. I love the smell. I love to think of the stories a barn could tell. I am thankful for Windmills. Bringing water to our animals. They are wonderful. I am thankful for Neighbors!! I am thankful for Strength. Internal strength is so important. I am thankful for Enthusiasm. Life is to short to sit around. I am thankful for Teachers. Wow, teacher’s are important. I am thankful for Color. Color makes the world brighter. I am thankful for Ranch Rodeos. I believe that ranch rodeos are keeping the west wild. I am thankful for Bucking Horses. Bucking horses hold a place in my heart. I am thankful for Old Horses. My kids learn so much from older horses. I am glad that they love to ride. I am thankful for Double A Feeds. Being able to meet people, help them and bring our kids to work are just a few reasons why I am thankful for Double A Feeds. I am thankful for my Iphone. Yep, I am glad that I can correspond on the go. And that I can text My Cowboy in the hills. I am thankful for Grass. Not only do my cattle and horses depend on it but I love to see the rolling hills of green grass. I am thankful for Heartaches and Breaks. It reminds me that my heart is strong enough to face the worst and still keep beating. I am thankful for my Senses. Smell, touch, taste, hearing, sight I am thankful for them all. I am thankful for Moisture. Moisture can come in many different forms. I am thankful for it all. I am thankful for You. Thank you for supporting me by reading my blog. But most of all be Thankful. Because I love photos I have added more below!! Please enjoy! Papa having a happy birthday. This will bring a smile to your face. we did have with her. Kason and Elmer. Kason is a natural at riding a horse. Please share with me what you are Thankful for.